The Twitter name of the Kennel Club, @KCLovesDogs, must be one of the biggest oxymorons ever thought up. To many, myself included, the Kennel Club seems to love the way deformed dogs look and they love the money they make out of registering litters and that’s about it. Shortly after I qualified as a vet almost twenty years ago I started to realise the devastating effect that breed standards and inbreeding have had on the species that has been man’s friend for around twenty thousand years. We should be well and truly appalled and ashamed of ourselves. We started off with types of dog to do the work we needed, hunting, guarding and herding. Once we didn’t need them to do that anymore we started parading them about and deciding which one was prettiest. We started playing Mother Nature. The trouble is that Mother Nature took millennia to get canids like dogs and wolves right. Flat faces mean breathing problems top the long list of problems. Then the most stupid, cripplingly arrogant species in the history of the planet came along and decided that some dogs would look better with wrinkly skin or a long back or spots in a certain pattern or no face at all to speak of. From that moment on we have been responsible for more unnecessary suffering than anything else we have done to animals. We have bred animals to suffer. I will say that again. We have BRED ANIMALS SPECIFICALLY TO SUFFER. This is totally without question. Every single bulldog, Pekinese, pug, Shar-pei, Basset, Neopolitan mastiff and Dachshund will suffer to one degree or other. Droopy faces and dangly, heavy ears mean eye damage, ear disease and chronic pain. Countless other breeds have such high rates of disease and conformational problems that most of them suffer at some time in their lives. How have we come to the point that this is seen as normal or anywhere near acceptable. It’s normal for a bulldog to snore, right? It’s normal to have to wipe the facial skin folds of a boxer or a Peke. It’s normal for Cavalier spaniels to die of heart failure or scream in pain because their brain doesn’t fit in their skull. 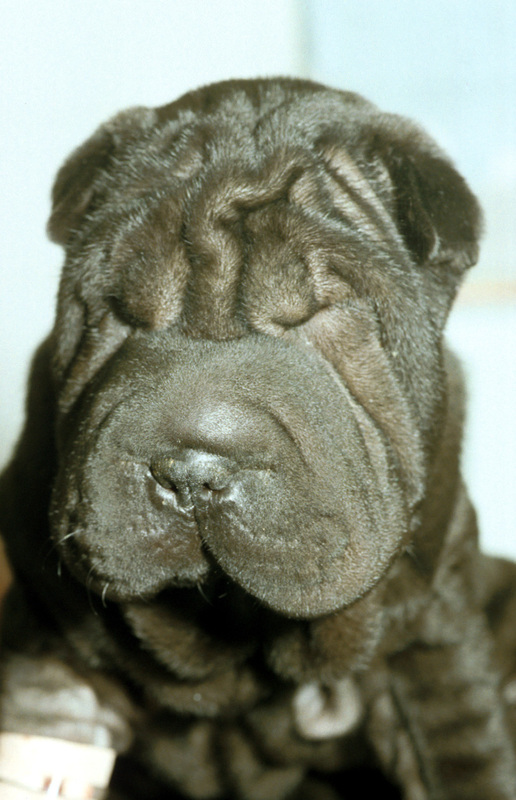 It’s normal for Shar-peis to be fear aggressive because their eyes hurt from their entropion and they can’t see. It’s normal for bulldogs to be born by C-section because the breed is so deformed that they can’t breed or give birth anymore. 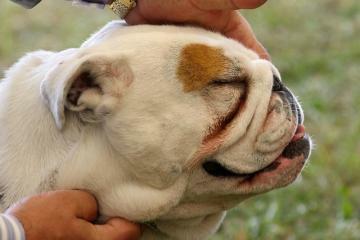 ‘Cute’ wrinkles cause infections, pain and eye injuries. Yes, soul-destroyingly it is normal for all these things in these breeds but it is NOT normal for dogs, nor should it be seen as acceptable in any of these man-made creations. These breeds would never exist or survive in nature and we have to ask ourselves how long we can continue to let this happen. The sad thing is that the people creating the abominations and continuing to show them for prizes (which mean absolutely zero to the dogs besides a boring day at a show being prodded and poked by strangers) are actually seeking to produce these deformities to comply with a totally arbitrary list of ‘desirable’ characteristics and can’t see that they are deformities. We’ve gone way too far. I’ve done countless newspaper, TV and radio interviews about pedigree dog health problems, wrote a book about it in 2007 and in 2008 was heavily involved in the Panorama programme Pedigree Dogs Exposed. This caused huge uproar and it finally looked like we might be getting somewhere. The BBC dropped their coverage of Crufts, the Dog Advisory Council was set up, the Kennel Club got a mountain of flack and people like me sighed a big sigh of relief that finally this might stop. We should have known better. When you compare the Peke that won best in show in 2003 to the one that won the breed round THIS year they are indistinguishable and both have or will have suffered unnecessarily. Looks like nothing has changed in over a decade. 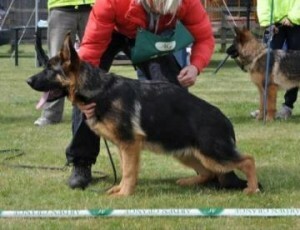 The German shepherd dog that won best in breed this year was so visibly crippled that there was an outcry. The loving breeder defended the dog by saying it was bred to the proper breed standards. Er, yes, that’s why it’s crippled. On the breeder’s website it states that the dog has been hip scored and implies it is a good score. Let’s put this into context. The higher the hip score from 0 to 106 the worse the hips are. A ‘normal’ dog or wild canid would expect to have a hip score of zero. Some of our breeds like the German Shepherd and Labrador and many others have deformed hips which gives then early arthritic changes, pain, lameness and in the worst cases can mean early euthanasia. The hip scoring scheme was set up to improve hips and used to advise that owners should not breed from any dog with a score that was not ‘well below the breed average’. The BVA has quite rightly changed this advice in recent years to the median average not the mean as it used to be. The dog that won best in breed this year has a score of 13, the median for the breed over the last 15 years is 11. Therefore the best in breed German Shepherd at Crufts 2016 should NOT be bred from according to veterinary specialists. 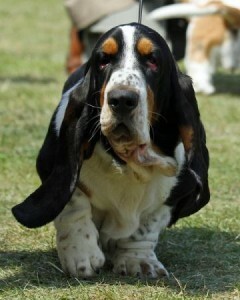 According to the Kennel Club rules they can do whatever they like and register litters from this dog. Interestingly, the breeder’s website joyfully tells us what a good mother she is so has already been bred from. 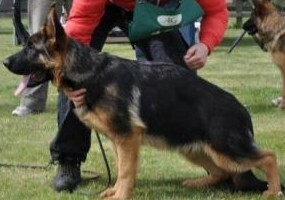 A modern day German Shepherd. Back half of the dog totally changed. The fact is that any score on the hip scheme over zero suggests some degree of hip disease in a young dog. Could we not reasonably argue that maybe we should only be breeding from dogs with a score of zero? After the big furore in 2008 vet checks were introduced at major shows. Well my friends that is clearly not working because the Peke, the German shepherd and, no doubt, countless other perfect examples of other particular breeds are not healthy dogs. Almost twenty years ago I asked the KC why things like health tests were not mandatory for registration of litters. They said it could not enforce things like that and it was better to leave it to the breeders’ discretion. The Kennel Club fears that making dramatic changes will stop people registering and drive breeding underground. Let’s say that did happen, wouldn’t the Kennel Club like to be the bastion of good breeding? Should they not be THE place that people go to find the very best, most responsible breeders with the healthiest dogs you can find? Of course they should but they are far from that now. The fact that show champions should always be left entire so they can be bred from is the real kick in the privates. What we effectively do is take the most deformed dogs in the world, parade them about, pick which is officially the most deformed and then breed a massive number of litters from them. Wow, what a time to be alive. It is painfully clear that the Kennel Club is either unwilling or incapable of getting some breeders to do the right thing. So what is the answer? The extremes of conformation and the breeds most devastated by inherited disease have to go. It’s time to save the species not the breeds. Fundamentally though, the power to do that lies with you, the dog-loving, dog-buying public. If we stop buying deformed dogs they will stop being bred and you will have made a massive step towards improving welfare. When you think about getting a dog don’t pick a show winner, don’t copy your favourite actor or singer, go to your local adoption centre and have a look before you do anything else. If you do want a puppy, picture a wild canid shape, a wolf, a jackal, a coyote, a mongrel dog and picture the proportions that Mother Nature gave these healthy animals. If the one you thought you wanted has skin folds, a flat face, a long back, tiny legs, massive droopy ears, bulging eyes or inevitable inbred disease then you need to change your mind. Cross it immediately off your list. We are the only ones that will make the difference because decades of suffering and turning a blind eye for profit have proved that the Kennel Club will not.